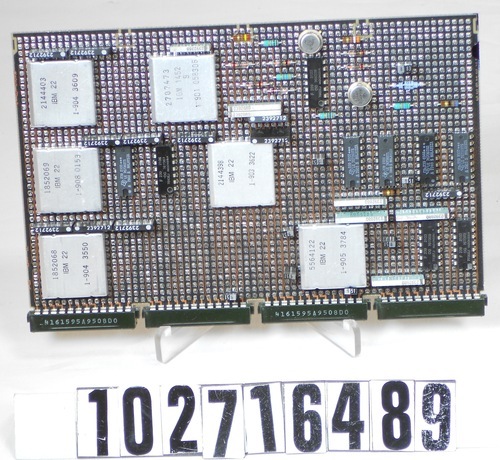 One (1) logic module with four black plastic female connectors along the left side. Both sides of the substrate are covered by a gridded field of square-shaped solder marks, and the front with various components. 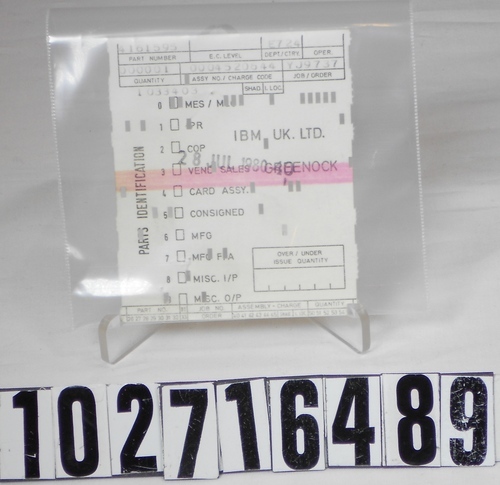 A "parts identification" card dated "28 JUL 1980, JOB/ORDER YJ9737" is extant and remains with the object.